I spend the day with Kathleen Ensign of the fashion blog Kat Walks S.F. While I was in San Francisco I had the pleasure of hanging out with Kat and her dog Benji. I received a personal tour of the North Beach neighborhood she calls home and a crash course on San Francisco. Kat gave me some history about the hood, showed me some of her favorite places to eat and took me to some of her favorite shops. We talked about blogging, life in San Francisco, and her lifestyle brand Les Mechantes. Benji : Kat's sidekick - most loving pup ever. Benji was given to Kat in the park by a homeless man. 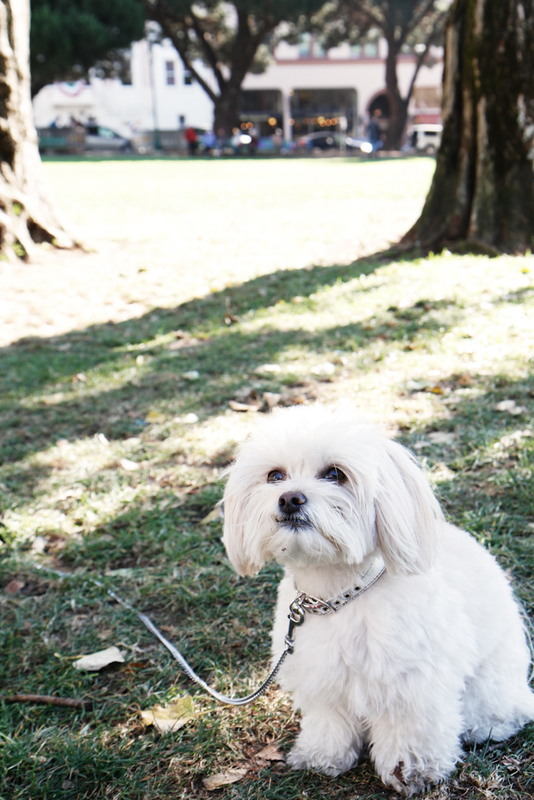 She named him "Benji" after the Benjamin Franklin statue located within the park. Les Méchantes : Kats online boutique & lifestyle brand. If you live in the San Francisco area you can find them at pop ups and markets all over the city. They partner with Beauty Company and host events in store - check out their site to learn more about their upcoming blogger brunch. Les Méchantes does not sell brands that are manufactured from unethical supply chains or in unfair working conditions. Every six months, the ladies choose a cause to receive a percentage of their profits from that period, followed by a fundraising event. North Beach Neighborhood : Great food and shops. Most of Columbus is very touristy, Stay on Grant -it's much better. Goorin Hat Brothers : Est. 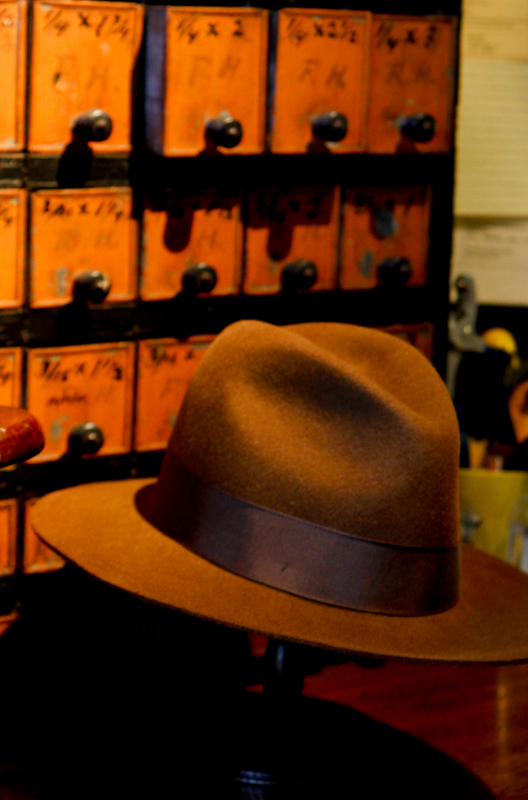 in 1895 in Pittsburg, PA all of the stores' hat blocks are from Pennsylvania and are original molds. They do custom work as well, Kat recently had them sew a feather on a hat for her that she wore to a music festival. Golden Boy Pizza : "I'm friends with the owner, this is the best pizza spot int he neighborhood"
Gino and Carlo: a greta bar with great character. The first stripper to get breast implants is a regular here, she owns a lingerie shop now in the area. Their open from 6am -2am everyday. La Boutique: All in one boutique, gallery and showroom. The shop carries a lot of European designers that many of us [in The USA] haven't heard of yet.